I recently had the opportunity to study the Advanced Heads Up Mastery course by Upswing Poker. I think some of the biggest edges (and potential profits) are in heads up poker so this course really caught my attention. 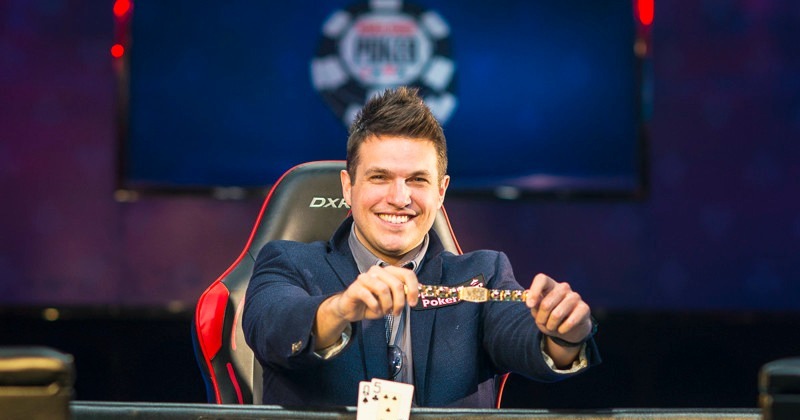 But the biggest reason why I was excited to have a look at it was because all of the content was created by 3-time WSOP bracelet winner and arguably the best no limit heads up poker player on earth, Doug Polk. This is something that I have always talked about for years on this blog especially. That is, make sure that you are learning from the best. The Advanced Heads Up Mastery course certainly qualifies in that category. This is a massive learning program. 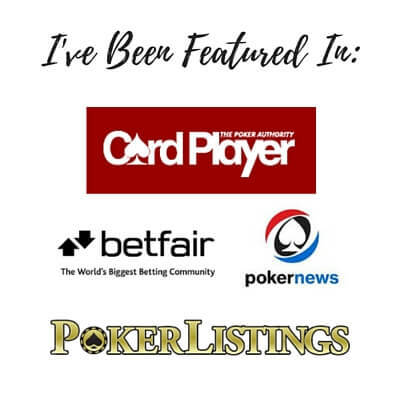 There is somewhere in the neighbourhood of 20-30 hours of video to cover along with countless other downloads and live play video from some of the world's best poker players. I also want to be very clear from the start that this course is not meant for beginners. This is a highly technical poker course that is meant for very serious people who are looking to take their game to a world class level. With all of that said I am going to do my best below to give you a complete walkthrough of everything that is inside the Advanced Heads Up Mastery course. 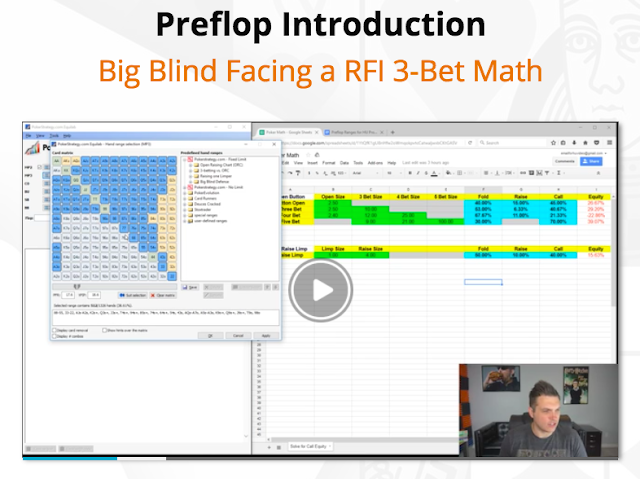 The preflop section of Advanced Heads Up Mastery begins with a detailed analysis of small blind raise first in (RFI) strategy. 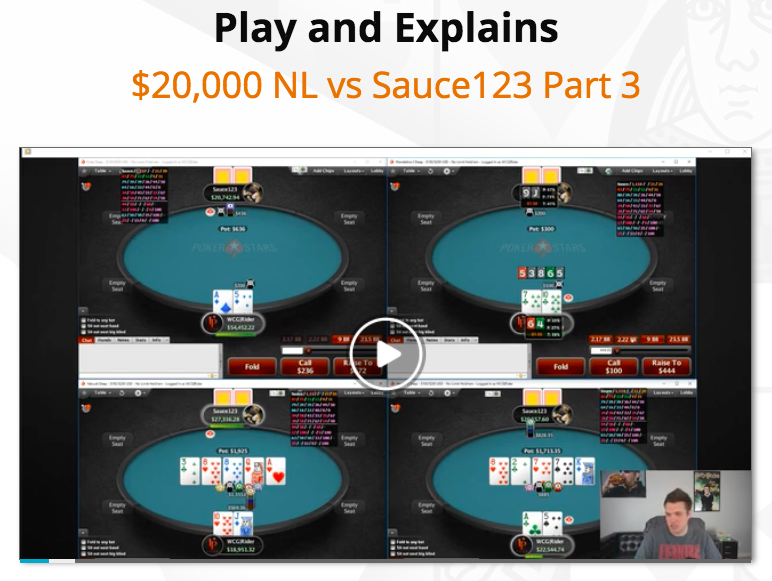 By making extensive use of equity analysis tools like PokerStrategy's Equilab Doug Polk breaks down the theory behind which hands to raise first in here. He then goes into a deep analysis of his own PokerTracker database from the small blind and discusses exactly what is profitable and what is not. These conclusions are drawn from his high stakes heads up matches online where he has won millions of dollars. In the next section Doug goes on to discuss the big blind strategy beginning with what to do when the small blind limps. He then discusses continuance ranges versus a small blind RFI, when to 3Bet and the math behind it. Once again all of this is backed up with equity analysis in both Equilab and his own PT4 database. This section finishes with the download links for some charts which include the exact hands to play in heads up poker from both the small blind and the big blind. 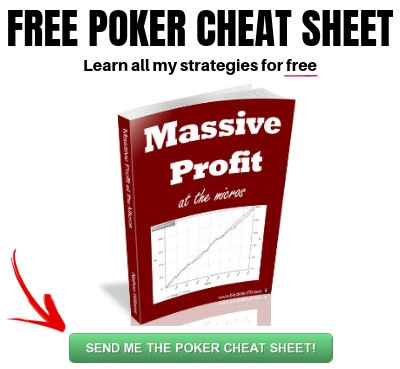 This is a virtual "cheat sheet" for the entire preflop strategy in heads up poker. And there are another set of downloads which gives you the exact bet sizes to use for RFI, 3Betting, 4Betting and 5Betting from both the small blind and the big blind. Furthermore, Doug gives you the exact frequencies for how often you should be making each of these plays. I have personally never seen anything as thorough as this. The entire heads up preflop strategy is broken down into a science here teaching you the exact hands to play at the very highest level. 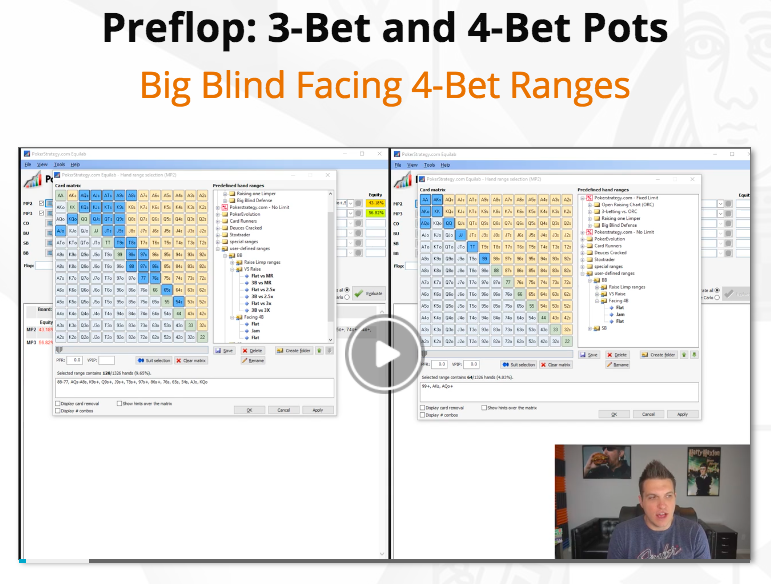 The next section of Advanced Heads Up Mastery dives deep into the theory, strategy and math behind 3Bet and 4Bet pots. Anyone who has played heads up poker before at any level knows that understanding how to play in 3Bet and 4Bet pots is absolutely crucial to your success these days. So Doug begins by discussing small blind facing a 3Bet concepts and ranges. 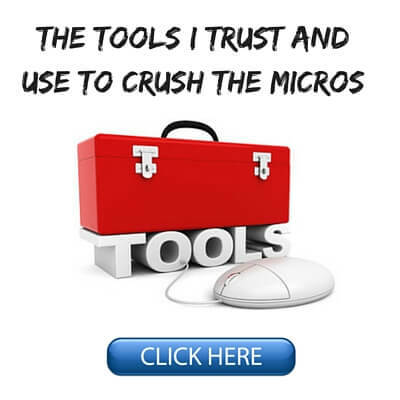 He once again makes extensive use of equity tools and his own database to show you exactly how to make the most profitable decisions in this situation. The next section dives into 4Bet strategy from the small blind and how the big blind should react. Again, there is a concerted effort to find mathematically sound reasons for every recommendation. 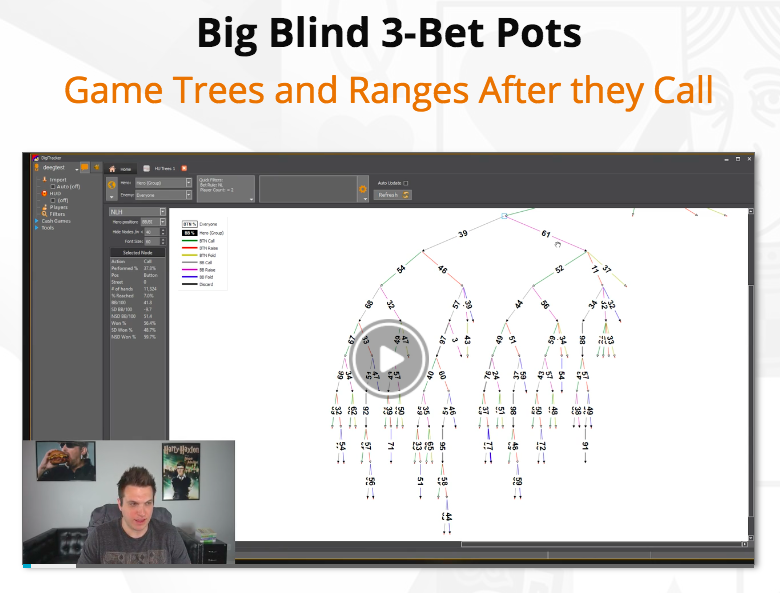 Doug gives you the exact ranges for when to make the 4Bet from the small blind along with when to fold, call or 5Bet from the big blind. The discussion is once again thorough with hours of video and analysis. 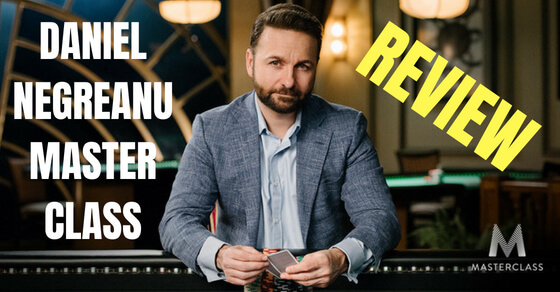 If you want to learn 3Bet and 4Bet strategy in heads up poker at the very highest level, frankly I have never seen anything this detailed before. Now as important as preflop strategy is in poker, anyone who has played this game seriously knows that most of the biggest edges come after the flop. Preflop in many cases is almost a solved science at the higher limits. In fact the preflop sections of this course give you pretty much as clear of a blueprint for how to crush preflop in heads up as I have ever seen. But postflop is a whole different story. This is where the men are separated from the boys to use a worn out old cliche. And so that is why the majority of the content in Advanced Heads Up Mastery covers postflop play. It offers a comprehensive analysis of how one of the best heads up poker players in the world thinks about the game on the flop, turn and river. So after Doug explains some of the key concepts and terminology behind postflop heads up play he gets right into flop play from the small blind in single raised pots (SRP). As you can see above, literally every scenario possible is covered. From what hands to CBet with, what value combos to include, bluff combos, how and when to barrel, dealing with probe bets and facing a check/raise on the flop, turn and river. There is a corresponding video for each section, typically 15 minutes to 45 minutes in length. Again, the discussion here centers around teaching you the mathematically correct decisions at the highest stakes of heads up poker. 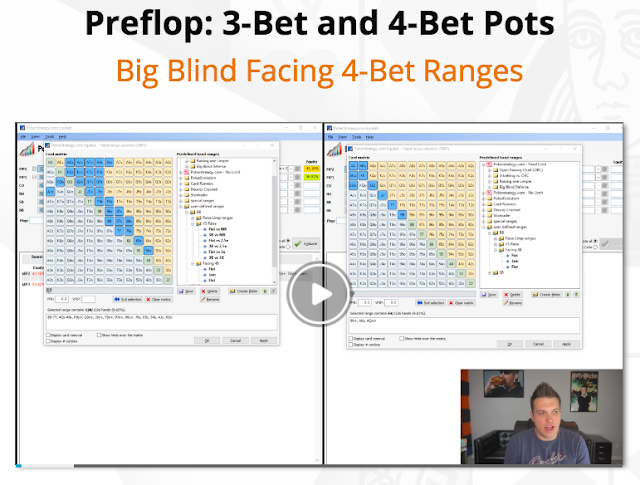 The next section includes over 20 videos and even more analysis for how to play from the big blind in every scenario possible in a single raised pot. There is honestly so much here that I think it would take most people at least a week to get through just this section. I would recommend studying just one or two strategy videos a night to avoid information overload. This is what I did. The next section continues with a breakdown of how to play postflop in 3Bet pots from both the small blind and the big blind. The discussion here once again is highly technical including numerous examples from Doug's own high stakes database. He also makes use of "Game Tree" analysis to teach you 3Bet pot decision making from a mathematically correct point of view. Doug then goes on to discuss when to bet versus check the flop in the big blind in 3Bet pots, double barreling, triple barreling, AQJ combo breakdown for calling down, delay CBets and barrels. The next section of Advanced Heads Up Mastery focuses on teaching all of these same concepts from the perspective of the small blind this time including exact value betting and bluffing ranges. 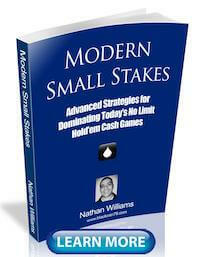 Finally, the last section breaks down the theory and strategy behind playing 4Bet pots. Since so much money goes into the pot preflop here, the decision making is not quite as complex. Nevertheless, no stone is left unturned here either. The very final section of Advanced Heads Up Mastery is called "Play and Explain." It is basically just what it sounds like. Doug plays heads up and explains his actions at the same time. But this isn't any old heads up match. This is an 11 part 4-tabling session versus one of the best heads up players in the world, "Sauce123" aka Ben Sulsky. In this epic heads up session where Doug plays against Ben at $100/$200 the amounts of money flying around are staggering. 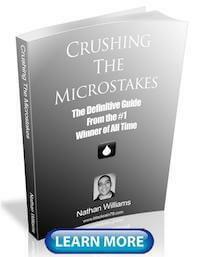 You are truly getting an inside look at heads up poker played at it's highest level possible. This section of the course is honestly worth the price of admission alone. Quite simply, you get to watch two of the best heads up players on earth go at it. And of course this includes getting to see Doug Polk's hole cards for every single hand as he explains exactly why he makes the decisions that he does. The Advanced Heads Up Mastery course is the most comprehensive heads up No Limit poker course that I have ever seen. The amount of content and high level analysis that went into the making of this course is truly overwhelming at times. This is why I recommend that you study this course over weeks and possibly months. Do not try to take it all in at once. I want to re-iterate as well that Advanced Heads Up Mastery is by no means meant for beginners or those just starting out at the lowest limits. 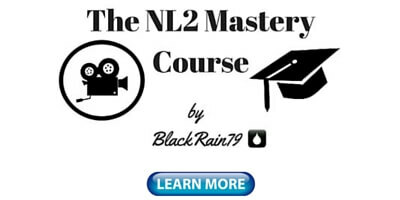 This is a very high level course meant for serious poker players who want to take their results to a world class level. And that is why it comes with a pretty serious price tag as well. But you are also learning from the guy (Doug Polk) who many people still consider to be the best heads up no limit hold'em player on earth. 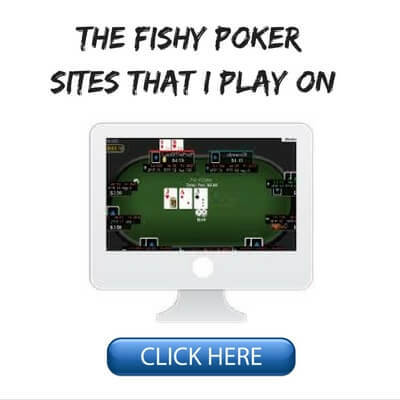 If you take poker very seriously, and your goal is to dominate at the very highest stakes one day, then I would recommend checking out this poker course. To enroll in Advanced Heads Up Mastery right now, click here. Let me know your thoughts on Advanced Heads Up Mastery in the comments below.